Once you've bought the teacher training course, logging is easy. 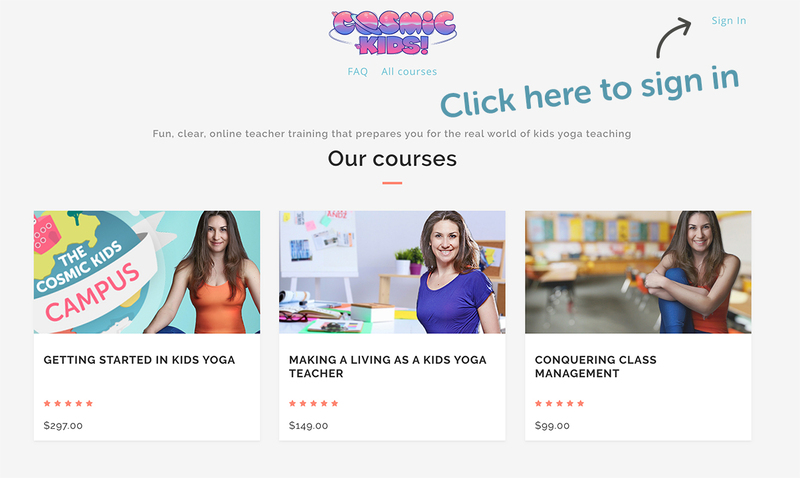 Go to https://training.cosmickids.com and click sign in in the top right hand corner of the page. Then sign in using the email you registered with and the password you chose. 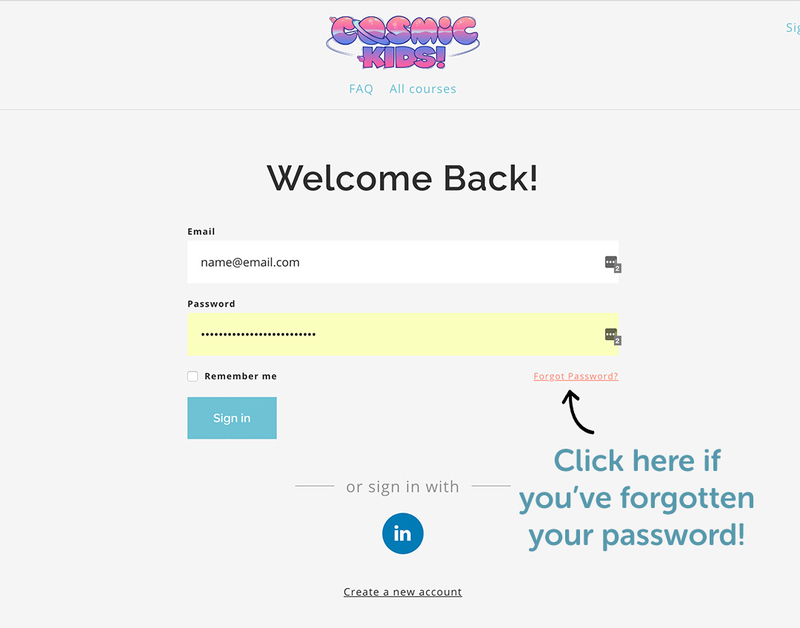 If you're having problems signing into the training, please email us on support@cosmickids.com or get in touch using the chat function in the lower right corner of your browser.